Dr. Richard Goldbloom and Ruth Goldbloom are honoured for their contributions to our common cause. Dr. Richard Goldbloom and his wife Ruth have invited me for tea at their home in Halifax, NS. The room is scattered with family heirlooms and photographs. From the décor and the conversation it’s easy to tell that these are two people who genuinely care about others. 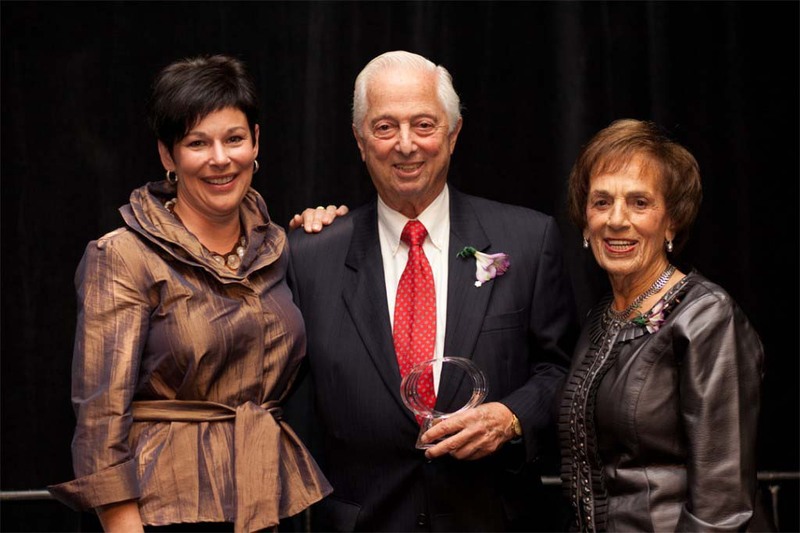 Ruth and Richard Goldbloom are the recipients of the highest honour available at the Maritime Philanthropy Awards 2012: The Lifetime Achievement Award. Richard is a pediatrician at the Izaak Walton Killam (IWK) Hospital in Halifax. He tells the story of how the Dean of Medicine at Dalhousie University contacted him in Montreal to convince him to move to Halifax. He wanted him to become the first chief of the IWK, which wouldn’t open for three more years. Richard accepted and started work at the existing children’s hospital under less than ideal conditions. Apart from his involvement in the IWK’s beginnings he has also made a wonderful contribution to the hospital by championing the “Read to Me” program. The program provides each new baby born at the IWK with a bag of books. “Babies are never too young to be read to–they’ll still absorb it.” he says. After that she was approached by other universities to help out. Eventually, she became the first woman and non-corporate individual to chair the United Way.